Many orthodox Bible commentators view some Old Testament accounts of angelic manifestations as appearances of Jesus in his “pre-incarnate” state, but in the following list we will cite evidence that even Trinitarian commentators recognize that this is an inference and not by any means conclusive. These examples of “God-manifestation” are qualitatively different from the speaking for God that prophets have always done.1 The prophets have spoken for God, but not manifested His presence or been identified with God so powerfully and intimately that to see them was to “see” God. Isaiah, Jeremiah and others were recognized as God’s spokesmen, but were never identified with God Himself. The following are examples of angels actually standing in the place of God such that afterward the human beings involved said they had encountered God Himself. Their identity as angels is unmistakably preserved in Scripture despite the fact that they were making God’s very presence and power manifest. God is said to have destroyed Sodom and Gomorrah, but actually sent two angels to do the job. The two angels arrived at Sodom in the evening (v. 1). They informed Lot that “we are going to destroy this place. The outcry to the LORD against its people is so great that he has sent us to destroy it” (v. 13). The angels grasped Lot’s hand and the hands of his wife and of his two daughters and led them safely out of the city for Yahweh was merciful to them (v. 16). Lot called the angels “my lords” (v. 18), asking them if he could retreat to Zoar instead of to the mountains. God spoke via the angels: “He [God, singular, not “they,” the angels] said to him [Lot]” that his request was granted (v. 21). Then Yahweh rained on Sodom and Gomorrah brimstone and fire, and He overthrew those cities, etc. (v. 24). These Scriptures combine to portray a beautiful picture of agency. Of course God is the one who supplied the power and authority, but the angels actually did the work. We use the same kind of language today. The owner of a construction company might be showing off some of the buildings his company had built. He might well say, “I built that building,” and everyone would understand that he did not actually do the physical work, but was the planner and the authority behind the job. In Genesis 32, Jacob wrestled with “a man” until daybreak (v. 24), but verse 28 says he had “…struggled with God and with men….” In verse 30, Jacob said he “…saw God face to face….” From Genesis alone we would have to assume that this was one of the times in which God Himself took on the form of a man in order to better relate to mankind.5 However, the book of Hosea speaks of the same record and lets us know that the one who wrestled with Jacob was an angel. 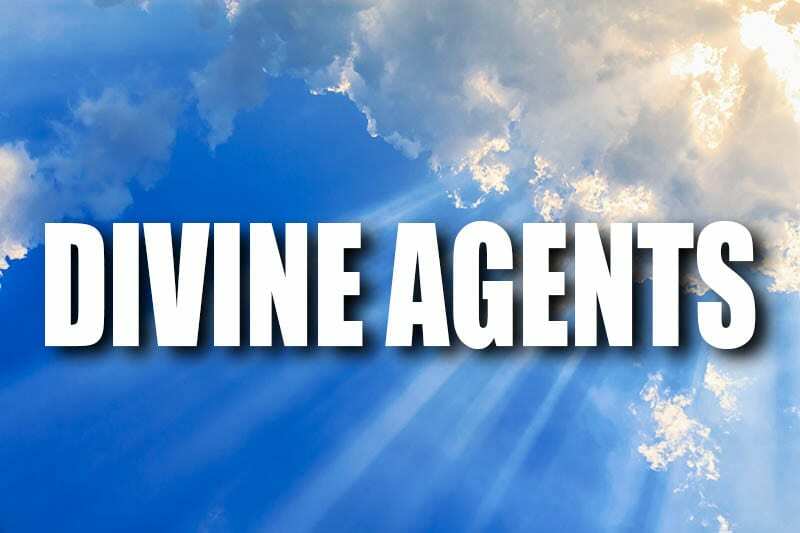 Hosea 12:3 and 4 states: “…as a man he [Jacob] struggled with God, He struggled with the angel and overcame him….” Thus, the one who is called “God” in Genesis is identified as an angel in Hosea, a clear example of agency. Before God or Before the Judges? The situation in Exodus was that a slave was to be released after seven years of service, but in some cases the slave did not want to be released. In those cases the master was to bring him “to the Elohim” to become a slave forever. Because the judges represented God as his agents on earth, they are called by His name, “Elohim.” There is a sense in which all four of the above translations are correct. The judges did in fact represent God, Elohim, and if they did not, there was no reason to bring the slave to them in the first place, because the vow was to be binding before the LORD. So there is reason to translate Elohim as “God” here. On the other hand, the actual representatives of God were the judges, and they were the ones who actually witnessed the slave’s commitment. They were the tangible, flesh and blood representatives of God on the earth. For that reason, “judges” is the better contextual translation of Elohim in Exodus 21:6, 22:8 and 9. 1. Broughton and Southgate, op. cit., The Trinity, True or False?, p. 64ff. Broughton and Southgate coined the term “God-manifestation” to represent these occasions when angels stood in for God. 2. Op. cit., The Encyclopedia of the Jewish Religion, Werblowsky and Wigoder, p. 15. 3. Op. cit., The Ryrie Study Bible, in the notes on these verses. Ryrie argues that in each of these “theophanies,” God Himself is present and acting, missing the point of the angelic agency. It is often argued that Jesus is probably “… the angel of the LORD…” because those words never appear after his birth, and it seems “reasonable” to Trinitarians that this angel would appear right on through the Bible. The fact is, however, that the angel of the Lord does appear after Jesus’ conception, which seems inconsistent with the premise that the angel of the Lord is the “pre-incarnate Christ.” The record of Jesus’ birth is well known. Mary was discovered to be pregnant with Jesus before she and Joseph were married, and Joseph, who could have had her stoned to death, decided to divorce her. However, “an angel of the Lord” appeared to him in a dream and told him the child was God’s. Matthew 1:24 states, “When Joseph woke up, he did what the angel of the Lord had commanded him and took Mary home as his wife.” Thus, Jesus was already in Mary’s womb when the angel of the Lord appeared to Joseph. From this we conclude that “the angel of the Lord” cannot be Jesus because Jesus was at that time “in the flesh” inside Mary. 4. Op. cit, The NIV Study Bible, Note on Genesis 16:7. 5. For times that God Himself comes in the form of a man see Appendix A (Gen. 18:1 and 2).